If you’ve ever looked at your Social Security statement, which is available to you on demand at ssa.gov/myaccount, you might remember reading on page two of that statement that your retirement income benefit is different depending on when you choose to receive it. It actually changes by month not by year from age 62 through 70, although three milestone benefit years are provided; at your age 62 (early eligibility age), at your full retirement age, and at your age 70 (maximum benefit age). What many Americans don’t know is that “full” retirement age is not the age with the maximum benefit. That occurs at age 70. Yet many Americans do not wait until age 70 to claim their benefit. Should you maximize your benefit? For those born between 1943-1954, the monthly benefit is 76%1 higher if you wait to receive it at age 70 than if you choose to receive it at age 62—regardless of the amount of your benefit. That’s 76% more every month, including inflation adjustments, and backing by the US Government that you cannot outlive. Once you reach your full retirement age, you may earn an unlimited amount of money over any time period and still receive your Social Security retirement benefit without restriction. Regardless of whether you are working or not, everyone who qualifies for a benefit should be receiving that benefit by their age 70. There is never a benefit to you to wait beyond age 70 to receive your benefit. Social Security was intended to be a an anti-poverty program. It’s original intention was to provide Americans with monthly financial security later in life so they are not destitute. That’s why it’s so important to make informed decisions about your Social Security benefit so it works with your other sources of income and fits into the rest of your financial life. 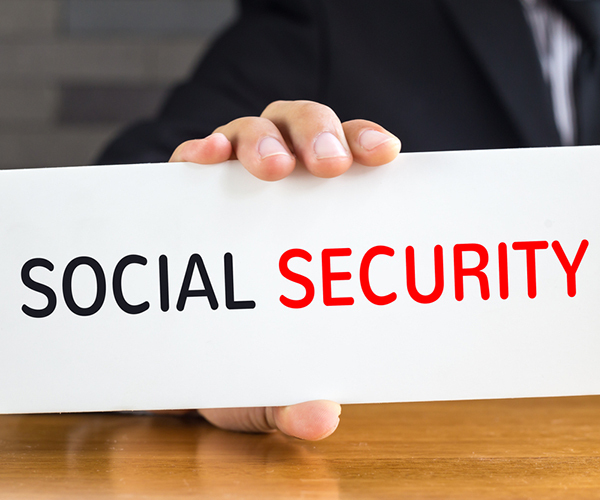 We are available to help you understand the Social Security program before you schedule an appointment with your local Social Security office. You should understand your full range of options prior to making decisions about your benefit that may have a large impact on your financial life. Our consultation is complimentary, private, and confidential. Here’s a rule of thumb to simplify your decision about when to claim your benefit: if you are healthy and can afford to wait receive your benefit, then you may want to strongly consider waiting. You may request a complimentary analysis of your own benefit here.